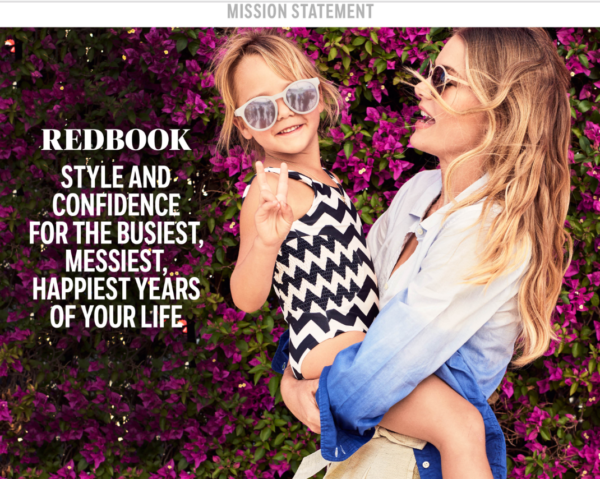 Let’s address the ugly part of editorial mission statements up front. Too few brands (18% of B2B marketers) have one. A documented editorial mission statement gives your content team direction – it points out the who, what, and why of their work. And, if shared publicly, it communicates to potential readers what your content is all about. But there’s an art to crafting editorial mission statements, and not everyone gets it right. Many statements lack sufficient detail – or offer too many details – to be useful. The good news? You probably have everything you need to craft or improve your brand’s editorial mission statement today. You’ve probably documented the who, what, and why of your content in a multitude of places. Now, it’s time to bring it all together. 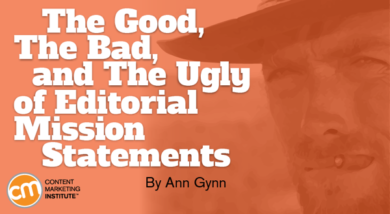 To get you started, let’s go over some best (and some bad) practices around editorial mission statements. Given that media brands have been in the content business longer than most B2B and B2C brands – and share their mission statements publicly – let’s explore the good and note some of the bad and ugly. The good: It incorporates the push-pull of its readers’ lives. It reminds the content team that their readers have complex daily lives. The bad: Readers of the statement are left to their own interpretations of connotative words such as “confidence,” “messiest,” and “happiest.” Plus, the image accompanying the words is a single stereotype that drills down the audience to happy, white, youthful-looking, and fashionable moms. Lessons learned: Be succinct but don’t oversimplify. Describe your editorial mission clearly to prevent your content team and your readers from making assumptions about the purpose of your brand’s content. And don’t rely on images to fill in the blanks, especially ones that make your editorial mission statement read more like a persona description. The good: It effectively describes the purpose of the newspaper’s editorial content (guide community deliberation) and the content’s overall call to action (to get involved and advocate). The bad: The editorial mission statement could be the same for almost any mainstream newspaper in the country. Now in its 77th year, Sky & Telescope is the world’s leading compendium of timely and accurate information about the science and hobby of astronomy. Our magazine appeals to the devoted amateur looking to enhance observing skills and learn about the latest equipment, as well as to professionals and academics desiring to keep up with this dynamic field. Our readers include the most active observers worldwide — those who stargaze regularly and travel to remote places to find dark skies or chase solar eclipses. These enthusiasts can’t wait to learn about new equipment and techniques, and they aggressively seek every opportunity to view rare or unusual celestial sights. Our articles are rich in information and images that compel readers to go out and experience the night sky firsthand. Our science features offer the most authoritative reports on discoveries in astronomy and space science. Our practical and attractive sky maps, coupled with helpful tips from highly skilled observers, ensure that stargazers can locate and enjoy the highlights of each month’s sky. In every issue we showcase the best images from the world’s best astrophotographers. And we publish more elaborate, thorough, and objective product reviews, and more of them, than any other astronomy magazine. With seven successful decades behind us, Sky & Telescope will continue to provide essential astronomical information to enthusiasts of all levels, enticing readers to become dedicated night-sky explorers and advocates for this exciting science. The inclusion of the current year in the letter indicates the editorial mission statement may be updated (or at least shared with readers) yearly. That’s a good thing because your editorial mission usually isn’t set in stone. The bad: It’s not a statement. It’s a missive. Someone has to really, really want to know its mission to get through all that. Lessons learned: Always include the purpose of your content in your editorial mission statement. How should it motivate the readers or viewers? What do you want them to know, think, or do? But explain it in as few words as possible. And remember, your content can’t be everything to everybody. Pick a niche audience and ensure that your content is loyal to it. “It should be the measuring stick by which you evaluate all of your editorial,” the article notes. How well-crafted is your editorial measuring stick? Build on your content marketing mission this September. Attend Content Marketing World in Cleveland, Ohio. Register before May 31 for early bird rates. Use code BLOG100 to save an additional $100.